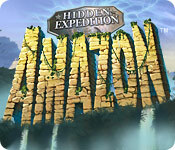 Hidden Expedition: Amazon is rated 3.7 out of 5 by 62. Rated 5 out of 5 by Boomer1097 from Fun HOS Game This is a fun HOS game with mini games interspersed. I enjoy the Hidden Expedition games and this one was no exception. The story line is engaging and the graphics are nice. The HOS are excellent and also get to look for beetles and journal pages in each HOS. There is a hint button in the HOS. In the mini games, the hint button assists with solving the puzzles if you need help. I recommend this game if you are looking for a fun HOS game with a nice story. Rated 5 out of 5 by mistysma from Love this game I play my Big city Adventure games over and over and was looking for something new. This game lets you take all the time you want to find objects and if you get stuck on a play just keep hitting the Hint Button and it will move you onto the next play. Rated 5 out of 5 by Nannykc from Love the originals I love the Hidden Expedition series... My husband and I have played the old ones over and over after a hard busy day and love them... they are fun but you don't have to chase all over the place and find your way everywhere... and when my brain is tired I have just enuff in these games to make them still fun and relaxing... the new ones are fun and but not always relaxing... soo this is soooo worth the money and it works fine on my computer with Windows 10.... good luck and please give it a try!! Rated 5 out of 5 by balrogtweety from Wonderful Game If any of you love these Expeditions then you will love this one. There were many difficult challenges but if you love a challenge then this is the game for you. I had help with a walkthrough I found online but I will love playing this one again and again. Rated 5 out of 5 by Krob333 from I love this old game This game is so much fun and has a lot of HOS! I have played the game several times through the years. And don't forget to collect the special hidden items!! Rated 5 out of 5 by JPLETT from Can I get this on Windows 10, please. My favorite HO game. I purchased it early on for my Windows HP. It won't play on my Windows 10. The thing I liked most about it is that the puzzles were challenging, but doable. Also, I like just plain HO games, not HOA games where you have to go from scene to scene to scene to get what you need. Also, not the dark occult type themes. Rated 5 out of 5 by upsysydaisy from HOGs, HOGs and More HOGs !! This was an excellent game, nice and long. It was almost too much of a good thing with what seemed 1000s of things to find. It was quite challenging because all the items were very small and well blended into the scene. I really loved that and felt a great sense of relief and satisfaction when I found everything. I always try not to use a hint (don't like cheating), but have to admit I gave in a few times so I could avoid "brain-freeze". The puzzles (for me) were hard to figure out with minimal or no instruction and they were challenging. There is no skip but pay attention and you will see how your hint button gets you out of a game. 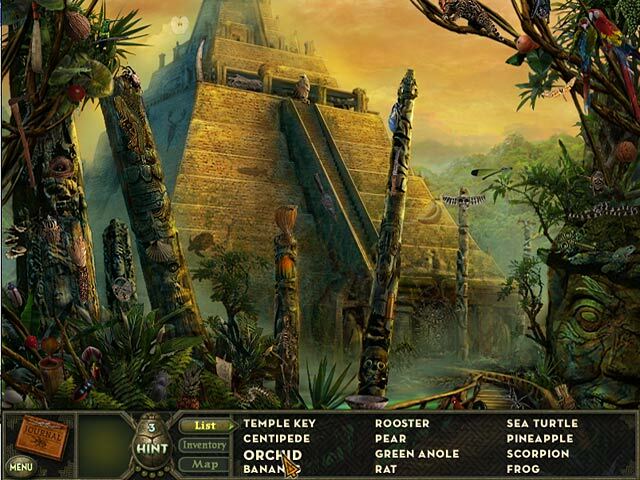 The hint system involves finding insects, they are very little and hard to see with their colors blending so well. I try to find them all at the very beginning, 5 being the most you can have. However, twice I had 6 of them but have no idea how that happened. Must have done something to EARN an extra hint. Also, very important to find the explorer's notebook page. There is only one in each scene and the map will indicate as a "reminder" that it is there. Without these pages you cannot follow the adventure and story, and you will miss some hints for the games which are mixed in with the notes. All the scenes are very interesting, absolutely overflowing with objects. Some scenes are very colorful and some are gray and dull. But the graphics are good and clear. The Beetle Temple and its contents near the end of the game has a different color scheme going on. You earn points and increase/decrease your rank and title as the game progresses. Every little accomplishment makes a big difference, if you enjoy challenging yourself. AMAZON wore me out, did my Happy Dance when it was over. 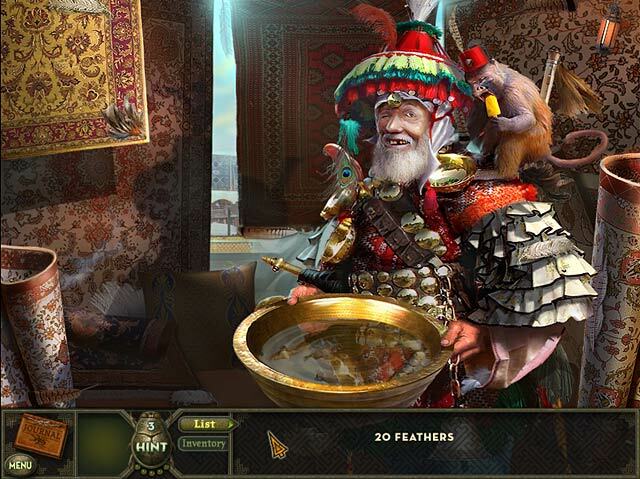 I always enjoy these Hidden Expedition games, each one is very different from the others in the series, and this one was a very busy and fun hidden object game. I recommend. Good idea to have a magnifying glass handy !! Rated 5 out of 5 by tannerzoo19 from love this game want more like it I have had this game a long time, really enjoy it, it's fun to play every scene is HOG and no running back and forth, is a relaxing fun exciting game to play, have been looking for more like this for long time. really fun. I still play often and still improving my score. 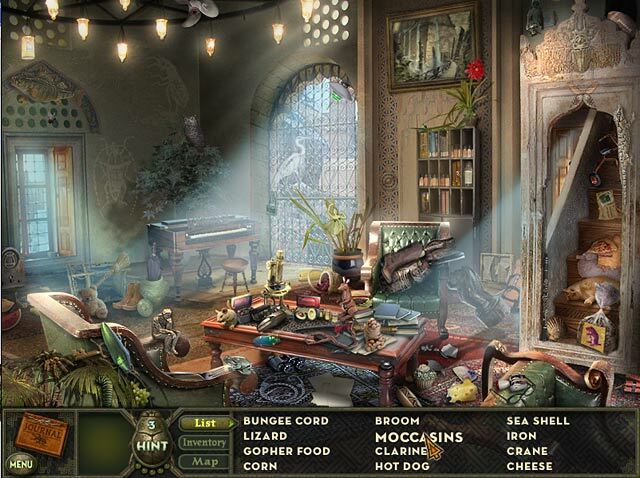 Rated 5 out of 5 by AverageSizeFish from Really Great HOG I like a HOG that focuses on puzzles and hidden object scenes and Amazon delivers. There is a cute and often amusing story that unfolds between each grouping of HOS and puzzles which is icing on the cake. There is no running around wondering what to do with an item in your inventory or where to go next which is a huge plus IMO. Instead of clicking through scene after scene scurrying back and forth you just play puzzles and find objects which given that it's a HOG is exactly what's wanted. Don't let the age of the game dissuade you...the graphics look great on my newer machine and the cleverness of the puzzles and HOS make them better than what I've seen in many newer games. I really wish there were more games like this.